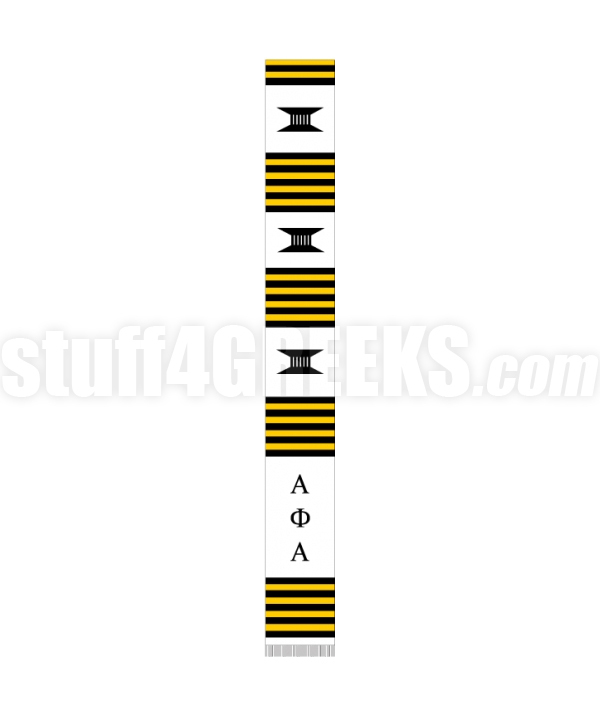 White Alpha Phi Alpha Kente cloth graduation stole with the Greek letters down the front. Q: When it states to add text below letters on left, does this mean the left side when the stole is around a person's neck or the left side when a person is holding the stole up in front of them? A: The left side means the side when you are wearing the stole, so the side that goes over your heart.